If you love Glacier National Park, there is a new way for you to have the majesty of the park with you at all times. 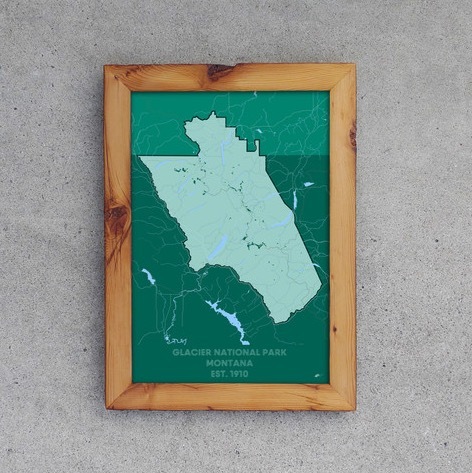 Our friends at Muir Way – with a name inspired by famed conservationist and Sierra Club founder John Muir – offer gorgeous, framed maps of national parks that will allow you to revisit your fondest memories in the great outdoors every time you look at the wall. Of course, one of the maps offered by Muir Way is a beautiful print of Glacier National Park. Showing the entirety of the park, from its southernmost reaches in Montana to its northern limits in Canada, this map showcases the scope of Glacier National Park in breathtaking, elaborate detail. And the aesthetic appeal of these maps is not the only thing that makes them cool. Muir Way goes the extra mile to ensure that its products are as environmentally sustainable and locally-sourced as possible. The materials used in these prints are all made in America, and the wood frame outlining the prints is made of 100% reclaimed wood. Muir Way stays true to the ethos of John Muir both in their designs, and in the fact that a portion of the proceeds from each map go to the Sierra Club, to further the sustainability and longevity of our natural parks. 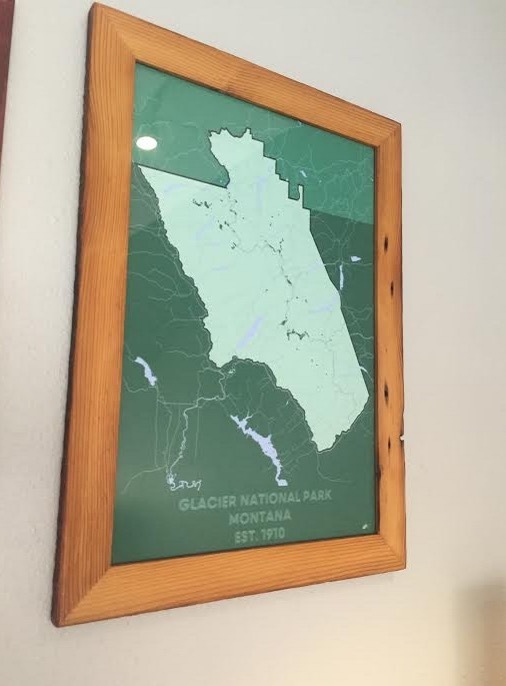 As you can see, this Glacier National Park map is a beautiful addition to the home or office of any Glacier National Park enthusiast. If you’re as passionate about the park as we are, then this map will serve as a unique piece of art that accurately reflects Glacier National Park’s beauty, as well as the mission we all have to preserve our national parks. If you think these maps are as awesome as we do, you’re in luck. Our friends at Muir Way have given our readers a special offer: if you use the code GLACIER20 at checkout on Muir Way’s website, you will save 20% on your own, unique map of Glacier National Park. Muir Way also offers maps of every other major national park, so you can accrue a larger collection of national park maps if you so wish. In any case, you should take advantage of this exclusive offer and get your own Glacier National Park map here! Make sure to use the coupon code GLACIER20 at checkout. Your purchase will get you an awesome conversation piece for any room, and it will also help to conserve our natural resources. Now that is what we call a win-win!